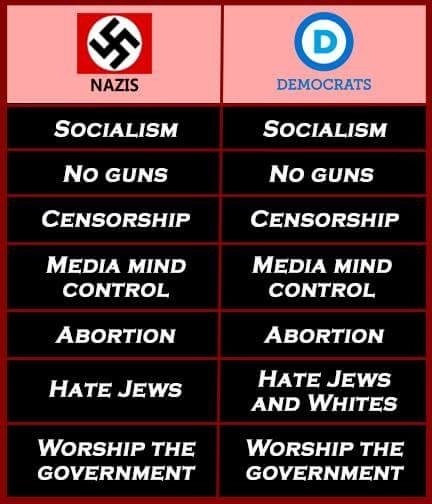 Isn't it ironic that those on the left are throwing out that Nazi word, never even having a clue that they are actually describing themselves instead. Well, not entirely by a long shot, but more similar than they will ever admit. Large paint brush you are using there, Joe. It’s a large billboard, Fred. Better wake up Fred, all the signs stating their position are in plain sight. Sometimes I peek in on the fake news, PMSNBC, can't even stand CausticNN, its wall to wall exactly what that sign says.